Future Neenah Recognizes Partnerships of the Year. At Nicolet National Bank we are guided by our 3 Circles, which are a promise to share our success with our Customers, Shareholders, and Employees. Nicolet Bank was founded in 2000 from a need Bob Atwell and Mike Daniels identified as many large banks shifted away from people at the center of decision-making. 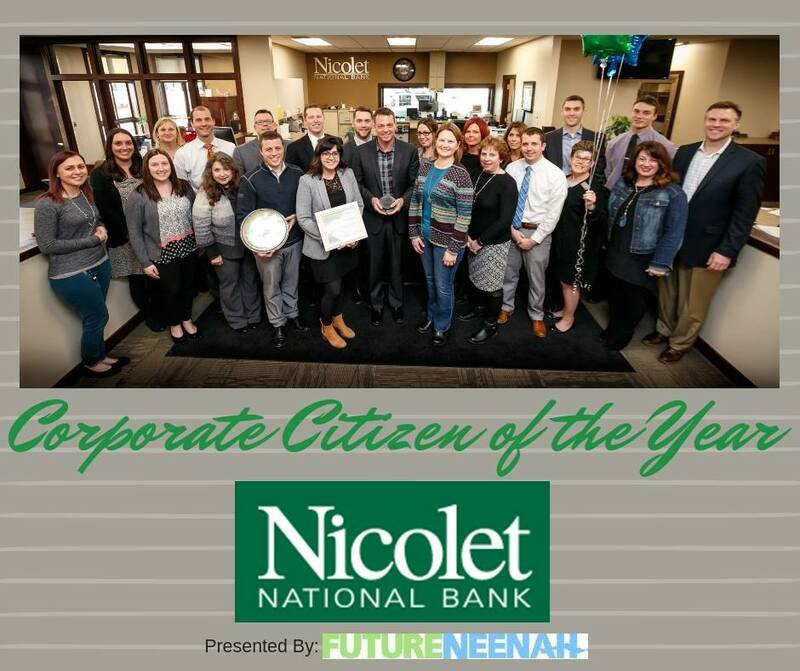 At Nicolet Bank our decisions are made based on the best interest of each of our 3 Circles with individual and business relationships at the center of our core values: Be Real, Be Responsive, Be Personal, Be Memorable, Be Entrepreneurial. Our customers, employees, and shareholders choose Nicolet Bank because they believe in this alternative to big banks. Real examples of shared success are the thousands of customers that have earned over $9 Million in interest from our 3.00% APY Real Rewards Checking in the last 7 years. We’re focused on rewarding our customers with interest on an account and with no maintenance fee. Apply online in as little as 10 minutes on our fresh new website at www.nicoletbank.com. 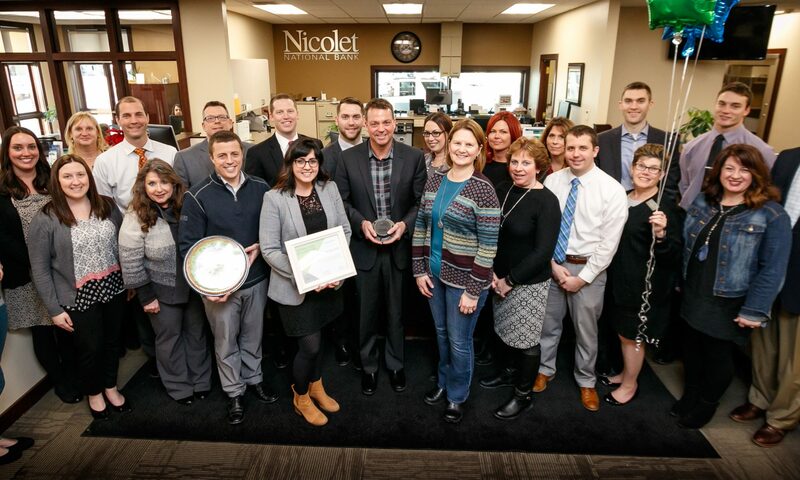 Nicolet Bank was built by hiring good people. According to Mike Daniels, President and CEO, “We team them with other good people. We get out of the way and let them do their job.” When you walk in to our Neenah branch, you can have a conversation with our leaders that live and work here. Chris Dimmer, SVP – Retail focuses on superior customer service for our 38 branches, and Joe Sturzl, SVP, leads our Fox Valley commercial team, with more than a decade of lending here. Sara Hebert manages the Neenah branch and this trio will introduce you to our Wealth Management team, also on site for complete financial service. We appreciate our customers and the opportunity to work with Network Neenah in our community. We look forward to meeting more of our Neenah neighbors and invite you to visit us anytime at 550 S. Green Bay Road.